Match ends, Notts County 2, Hartlepool United 1. Second Half ends, Notts County 2, Hartlepool United 1. Louis Laing (Notts County) wins a free kick in the attacking half. Corner, Hartlepool United. Conceded by Jordan Richards. 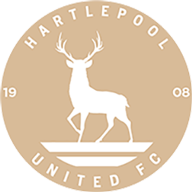 Aristote Nsiala (Hartlepool United) is shown the red card for violent conduct. Wesley Atkinson (Notts County) is shown the red card for violent conduct. Corner, Hartlepool United. Conceded by Haydn Hollis. Attempt saved. Genaro Snijders (Notts County) right footed shot from the centre of the box is saved in the bottom left corner. Attempt missed. Genaro Snijders (Notts County) right footed shot from the left side of the box is too high. Corner, Notts County. Conceded by Aristote Nsiala. Substitution, Hartlepool United. James Martin replaces Jake Carroll. Aristote Nsiala (Hartlepool United) is shown the yellow card for a bad foul. Genaro Snijders (Notts County) wins a free kick in the attacking half. Foul by Aristote Nsiala (Hartlepool United). Substitution, Notts County. Wesley Atkinson replaces Stanley Aborah. Foul by Stanley Aborah (Notts County). Nicky Deverdics (Hartlepool United) wins a free kick in the attacking half. Lewis Hawkins (Hartlepool United) wins a free kick in the defensive half. Attempt missed. Josh Laurent (Hartlepool United) right footed shot from the left side of the box is just a bit too high. Substitution, Notts County. Robert Milsom replaces Adam Campbell. Genaro Snijders (Notts County) wins a free kick in the defensive half. Attempt saved. Stanley Aborah (Notts County) right footed shot from outside the box is saved in the top right corner. Corner, Hartlepool United. Conceded by Carl Dickinson. Substitution, Notts County. Elliott Hewitt replaces Alex Rodman. Jordan Richards (Hartlepool United) wins a free kick on the left wing. Attempt blocked. Lewis Hawkins (Hartlepool United) right footed shot from outside the box is blocked. Corner, Notts County. Conceded by Jake Carroll. Delay in match Graham Burke (Notts County) because of an injury. Second Half begins Notts County 2, Hartlepool United 1. Substitution, Hartlepool United. Kieran Green replaces Lewis Alessandra. Substitution, Hartlepool United. Connor Smith replaces Billy Paynter. First Half ends, Notts County 2, Hartlepool United 1. Corner, Hartlepool United. Conceded by Louis Laing. Goal! 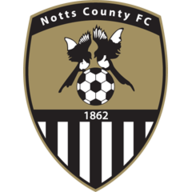 Notts County 2, Hartlepool United 1. Graham Burke (Notts County) converts the penalty with a right footed shot to the bottom left corner. Penalty Notts County. Carl Dickinson draws a foul in the penalty area. Penalty conceded by Lewis Hawkins (Hartlepool United) after a foul in the penalty area. Attempt blocked. Scott Harrison (Hartlepool United) right footed shot from outside the box is blocked. Lewis Alessandra (Hartlepool United) wins a free kick in the attacking half. Goal! Notts County 1, Hartlepool United 1. Rhys Oates (Hartlepool United) right footed shot from the centre of the box to the bottom right corner. Assisted by Lewis Alessandra. Hand ball by Jake Carroll (Hartlepool United). Goal! Notts County 1, Hartlepool United 0. Genaro Snijders (Notts County) right footed shot from the right side of the box to the bottom left corner. Assisted by Adam Campbell. Corner, Notts County. Conceded by Adam Bartlett. Attempt saved. Stanley Aborah (Notts County) right footed shot from outside the box is saved in the bottom right corner. Corner, Notts County. Conceded by Jordan Richards. Billy Paynter (Hartlepool United) wins a free kick on the right wing. Carl Dickinson (Notts County) wins a free kick on the left wing. Foul by Nicky Deverdics (Hartlepool United). Foul by Alex Rodman (Notts County). Attempt missed. Lewis Alessandra (Hartlepool United) right footed shot from outside the box is too high. Attempt missed. Graham Burke (Notts County) left footed shot from outside the box is too high. Corner, Notts County. Conceded by Scott Harrison.